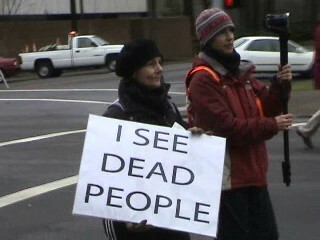 On Sunday, March 15 2009 in Salem Oregon there was an afternoon Protest & Rally. Stop the Wars and Home and Abroad! Keep the Oregon Guard Home from Iraq and Afghanistan. 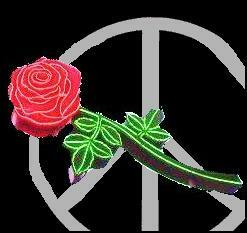 Say YES to money for human needs not war, YES to immigrants rights, and YES to a just peace for Palestine-Israel. Here is the video of Michel Darr who is at Camp Homebound on the capital steps with a peace vigil. She has fasted, collected signatures, protested, pleaded, been arrested, stayed on the steps for 24 hour intervals, and has been actively involved with trying to keep the Oregon National Guard home. The Individuals For Justice in Portland Oregon send their regards and a letter of recognition in this video. After the march there were quite a few police hanging around, here is a few minutes of video of them clearing the street after the March & Rally, just prior to letting traffic start using the street.